If you think that a document is always a document, then you should think again. Whereas for centuries it was only possible to fill documents with text and imagery, in the modern world, where the internet and technology reign supreme, no longer are documents only created in physical form, they have become electronic as well – and that opens up all manner of possibilities. Indeed, paper-based documents are already dinosaurs in the digital age, as email, eBooks, HTML and even electronic administrative forms are very rapidly replacing their olde-worlde physical counterparts. And the evolution continues. Text and imagery are now merely the basics of an electronic document – since we’re communicating so much with computers and smart technology, we have come to expect a certain level of interactivity and multimedia capabilities built into the very documents that we are connecting with. And it’s PDFs that are delivering on that expectation. Print will of course continue to have a significant place in the information landscape, but it’s now having to share – even fight for – that space with an ever-increasing number of platforms. The internet, smartphones, tablets, e-readers – all of these things are becoming the primary means via which we are accessing and engaging with information. Some stories are better told with video than with lengthy text explanations, and the fixed nature of a print page or 2D web document can limit the use of images to a mere few. An interactive document, on the other hand, could include a slide show where numerous photos can share the same space, or with just a few clicks a pre-made video can be inserted anywhere you like. PDF stands for Portable Document Format. As the name implies, it is a data format that can be used to describe documents. Adobe, the developers of PDF, market software to create, edit and visualise PDF files – and one such program is the hugely powerful and versatile InDesign. There are many advantages for using PDFs – they’re quickly and easily created, they’re securable, self-contained, compressible and compact. But their most impressive aspect most certainly lies in the ability that users have to build in interactive features. These can all be done within Adobe InDesign, and so here we’re listing our top 5. Video really has to be number one on the list. 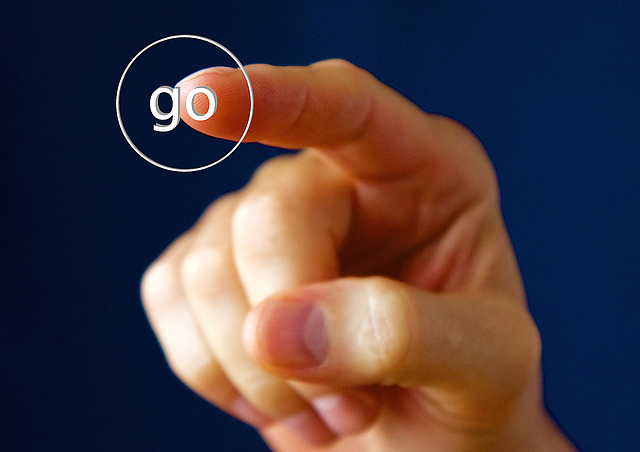 The ability to add moving pictures with audio to a document completely transcends what we expect a document to be. Even simple press releases can be given an almighty boost by the inclusion of a short video, giving your release all the more chance of grabbing journalists’ attention and thusly making your presence known and your associated product out there. To get started, choose File > Place, and then double-click the movie file you want to insert, then simply click where you want the movie to appear. If there’s a medium that can rival video in terms of impact on a document, then it has to be audio. Indeed, sometimes video may not be at all appropriate for the document in question – but a little soundbite might be just perfect. Advertisements come particularly to mind in this instance. When circulating an electronic flyer to advertise your upcoming event, some spirited music or voiceover work can make all the difference between a resounding success and a shameful flop. Choose File > Place, and then double-click the audio file. Click where you want the play button to appear. Ah, yes – this is something that we’ve covered before on this blog. Buttons are a great way to garner engagement with your documents, and add an interactive element that can boost the user experience (UX), increase conversions, and help with navigation. Here’s our tutorial video. It may seem like web designers have all the fun when it comes to creating beautiful, functional and interactive forms in HTML – but why should they hog all the glory? PDF eForms need not be confined to a boring two-tone palette of black and white – after all, dull and uninspiring forms equal poor engagement from customers, which, in turn, leads to a stagnant conversion rate. But, with InDesign in your arsenal, you can create PDF eForms that are every bit as exciting, creative and engaging as anything that can be done in HTML. Click here to watch our tutorial. These are simple, but extremely effective, and especially useful when creating user guides and manuals. A cross-reference refers readers from one part of your document to another in the exported PDF file. When a document with cross-references is exported to PDF, the cross-references act as interactive hyperlinks. Choose Window > Type & Tables > Cross-References, to get started. 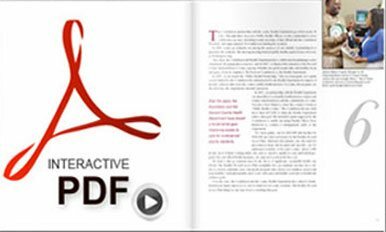 These are just our top 5, but all in all there are dozens of interactive elements, all with numerous variations, that can be applied to a PDF with InDesign. Tutorials are great to get started with all of the various functions. 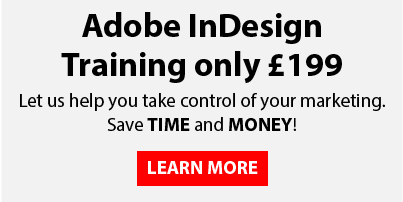 But, for you and your team to get the most out of the software, you should book your Adobe InDesign Interactive PDF Training Course with us now.